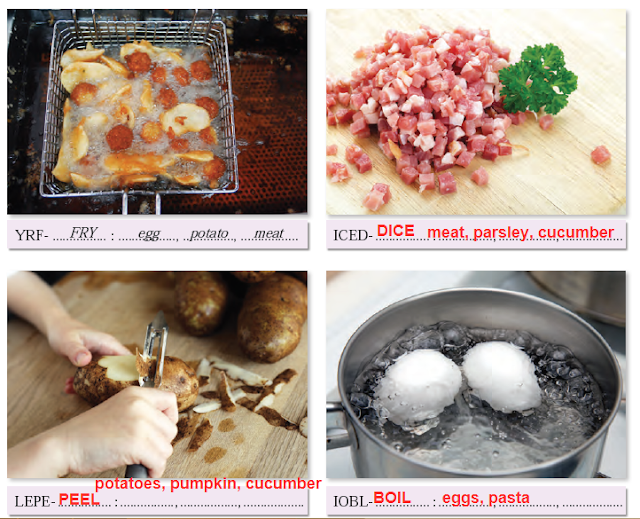 A. Unscramble the ways of cooking and then write three examples (fruit, vegetable, meat, fish, chicken, etc.) that we use while cooking. Use your dictionary when you need. Follow the example.